What’s hot in 2017? SoundCloud, the music platform established in Berlin, Germany in 2007. 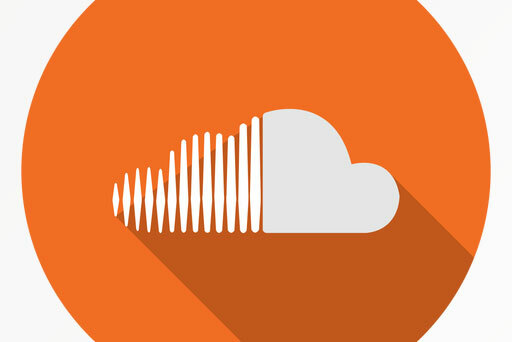 Soundcloud quickly grew in popularity in 2016 with the many success stories of independent and amateur artists such as XXXTentacion, Lil Pump, and Chance the Rapper. But what is it about Soundcloud that draws in so many listeners and users? According to writer Sesali Brown, who featured the company’s near collapse in an August article, SoundCloud’s popularity has to do a lot with the fact that it allows artist with more talent than some of the mainstream musicians we hear today to gain exposure to the public. Chance the Rapper, an independent rapper from Chicago whose fame was partially aided by Soundcloud, came to the defense of the platform he once depended on. With the various help and support behind SoundCloud, they did manage to keep their company afloat, relieving many individuals including some of our fellow classmates. Barton was only one of many in our school with a Soundcloud interest. Senior Frank Castro is another fanatic who volunteered to voice his opinion on why he likes the concept of Soundcloud as a music platform. Castro began listening to Soundcloud because he wanted to “find things that other people wouldn’t find and months later it’ll blow up” saying that this musical phenomenon was “kind of cool” as you witnessed it from the very beginning, Soundcloud, to mainstream media and even the radio to an extent. For example, XXXTentacion recently released his debut album “17” through Bad Vibes Forever and Empire Distribution, instantly becoming a hit with songs such as “Jocelyn Flores” setting the tone and feeling for the album. XXXTentacion had blown up earlier this year with his song “Look At Me” which was first released in 2016 on Soundcloud but blew up when it was re-released in 2017 on Soundcloud as well. Castro believes Soundcloud to be “good for new upcoming artists and new people to the scene” however he stated that to him Souncloud isn’t “the biggest because you have Spotify and Pandora” which have dominated the music platform scene. Due to Castro’s friend Angel Rivas and his other friend who use the platform, Castro enjoys listening to Soundcloud, often searching for those “meme songs” to keep himself entertained. Meme songs, usually found on Facebook pages associated with memes or YouTube stars with a musical side project such as Filthy Frank, are songs with a humoristic twist and usually very light hearted over a range of topics. However, same may be vulgar and a brief warning should be given before you decide to look for some of these songs as they may be offensive. When it comes down to it, Soundcloud is no regular music platform, it is a community that allows musical, artistic voices to be mixed, scrambled, created, and shared to the many users to freely enjoy and respond to. It is a gateway to success in many people’s eyes, but apart from that, it is for our entertainment and enjoyment, bringing people together, just as music should.